Torah cannot be achieved without effort and without investing work; there are no shortcuts. This is equally true for Eretz Yisrael. "וְהָיָה כִּי יְבִאֲךָ יְקֹוָק אֶל אֶרֶץ הַכְּנַעֲנִי כַּאֲשֶׁר נִשְׁבַּע לְךָ וְלַאֲבֹתֶיךָ וּנְתָנָהּ לָךְ". And it will come to pass when the Lord will bring you into the land of the Canaanites, as He swore to you and to your forefathers, and He has given it to you. The posuk (verse) is the introduction to the mitzva of the first-born animal and establishes that the mitzva applies within Eretz Yisrael (the Land of Israel). Rashi quotes the comment of Mechilta: "תהא בעיניך כאלו נתנה לך בו ביום, ואל תהי בעיניך כירושת אבות" (“Let it be in your eyes as if He had given you the Land this very day, and do not regard it as an inheritance from your fathers”). Why should the Land not be considered an inheritance? Why is it so important for the Torah to tell us this? Additionally, the comment of Mechilta itself is problematic: the Land was indeed given to us through our ancestors and it is, in fact, an inheritance from them. Why does the Torah want us to refrain from relating to the Land as an inheritance? We shall present several answers, each of which conveys a deep message concerning our connection to the Holy Land. The author of Sefer Ḥaredim (Rabbi Elazar ben Moshe Azikri [1533 – 1600]) discusses at length the mitzva of settling the Land, explaining that it is God’s will that His nation yearns for Eretz Yisrael. Just as the Land was given to Avraham only once he desired it, so she is given to the Am Yisrael (Nation of Israel) only when they yearn for her. When Am Yisrael rejected the Land, in the matter of Moses’ spies, God punished them with forty years of wandering in the wilderness, with the ungrateful generation dying in the wilderness. An Israelite cannot live in the Land without absolute love for her, without rejoicing in being within her. This concept underlies the curses presented in Parashat Ki Tavo, where the Torah states explicitly: "תחת אשר לא עבדת את ה' אלוקיך בשמחה ובטוב לבב" (“Because you did not serve the Lord your God with joy and with gladness of heart”) . This is the reason the Torah presents for the punishment of exile from the Land. The Mechilta which Rashi quotes does not intend to totally negate the connection between our ancestors and the nation’s inheritance of the Land. Indeed, God gave the Land to our fathers and we are their continuity. The Midrash intends that we must rejoice with the gift of the Land, as if it were given today. A person who is used to a gift and considers it something self-evident will not be excited by it. This is an inappropriate attitude towards Eretz Yisrael. We must rejoice in her and appreciate her greatness as if she were given to us this day. Our question was raised by Maharal of Prague in his work on Rashi, Gur Aryeh: "למה יהיה לו כאילו היום נתנה? והא אינו כך שהרי הוא לא נתנה לו באותו היום!" (“Why is the Land to be considered as having been given this day, when in fact she was not?”) . Maharal answers that things which are sacred, and sublime are beyond simple human concepts, they are above time; the construct of time, by which we measure things within our world, does not apply to the sacred and sublime. That which can be measured by time ultimately is a temporary phenomenon, being limited by time and being manifest only in its own time. Chazal (Our Sages) say of Torah as well that it must be constantly renewed . This is so, says Maharal, since Torah is Divine, being the expression of God’s words and His will. Like Torah, Eretz Yisrael is not bound at all by time. 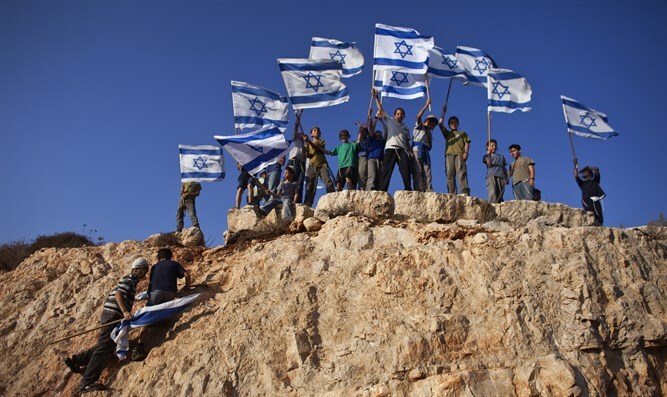 While Am Yisrael was exiled from the Land, this is merely a temporary state, because the eternal bond between the nation and the Land requires that Israel return to her, a reality which we see unfolding over recent generations. This is Chazals’ intention in saying that we must feel that Eretz Yisrael was given to us this day and not as an inheritance. Since the Land is above the limitations of time, though she apparently was given to our ancestors generations ago, in reality she is given to us in a contemporary sense. The Land must be meaningful to us as a great gift which has just been received. Rabbi Ḥayyim Leib Ḥarlap, in his book Or Chayim, explains an additional deep aspect related to our question. As noted, Chazal commented that Torah as well must be perceived as being constantly renewed. The Gemara (Talmud) raises the question of why it is not common to have Torah scholars whose sons are Torah scholars and answers that this so people will not assume that Torah is an inheritance, which can be received without any effort on the part of the heir [Nedarim 81a]. The Gemara quotes the comment of Rabbi Shimon bar Yoḥai: שלש מתנות טובות נתן הקדוש ברוך הוא לישראל, וכולן לא נתנן אלא על - ידי יסורין. אלו הן: תורה וארץ ישראל והעולם הבא" (“God gave Israel three great gifts, and each was given only through suffering; these are they: Torah, Eretz Yisrael and the World to Come”) [Berachot 5a]. Just as Torah can be acquired only through great effort and ongoing hard work, so it is with Eretz Yisrael. One cannot truly arrive in the Land except through toil and personal hard work. One must not consider the Land to be a gift which can be achieved without effort. As Torah cannot be acquired as an inheritance, neither can the Land be so acquired. One who sincerely wants the Land to be his portion and that of his family for all generations must invest work in the Land. On all levels, Eretz Yisrael carries challenges which are not simple, from economics to education. A person who truly wants to merit the Land must understand that he acquires the Land anew every day. We presented three explanations of the comment of Mechilta that Eretz Yisrael is to be perceived as having been received each day anew, rather than as an inheritance. 1. Sefer Ḥaredim: one must relate to the Land as something he gained this day with joy and not as something which he is used to having. 2. Maharal of Prague: the value of the Land is eternal and therefore beyond the restrictions of time. Therefore, the Land is to be seen as a gift received this day. 3. Or Ḥayyim: the Land cannot be acquired without an investment of effort by us. The Land, like Torah can be acquired only through personal work and toil. May we merit to have the joy and necessary effort in our relationship with Eretz Yisrael. 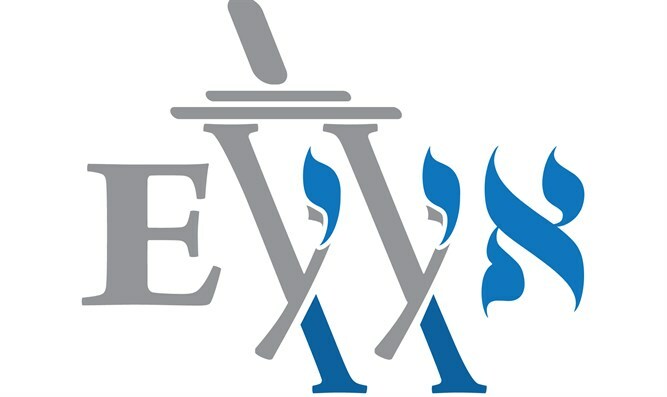 Eretz Yisrael Yomi is a Torah site that was put on the web just in time for the 5779 cycle of Torah readings. It features the Torah thoughts of promising young scholars in the Religious Zionist yeshiva world. There is an English and Hebrew website. ​The uniqueness of Eretz Yisrael.